Camerata has partnered with Chinchilla-based charity, Drought Angels, to deliver the last three annual regional tours. Tash and Nicki, co-founded Drought Angels in 2014, and have volunteered their time to support drought affected communities with food, services, and financial support (http://droughtangels.org.au/). Last week Camerata noticed on Drought Angels’ Facebook page a post about farming families who have hit rock bottom, now in their sixth year of consecutive drought. The recent wet weather experienced through western Queensland delivers much needed relief, however a huge amount of ongoing support is required for these communities as the effects of the lengthy drought continues to be felt by farmers and local businesses. 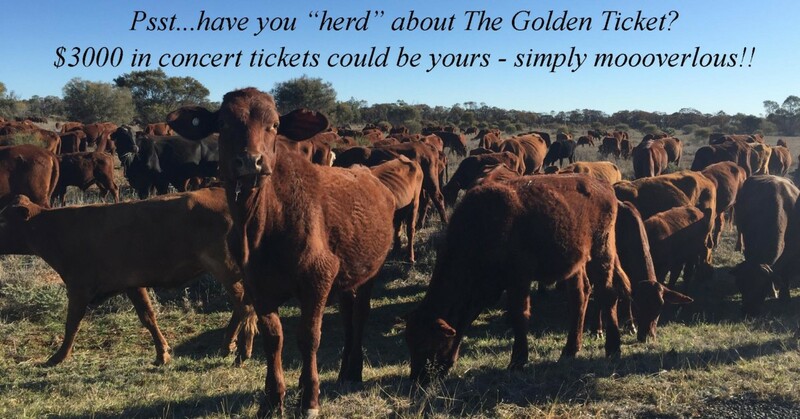 Tickets for The Golden Ticket are on sale now and will be drawn at the event Sunday 18 March. All proceeds will go to Drought Angels, who will use the money to send pre-paid visas to farmers who need it most. Tickets for The Golden Ticket are on sale now and will be drawn Sunday 18 March 2018. All proceeds will go to Drought Angels, who will use the money to send pre-paid visas to farmers who need it most.